A course suitable for all levels of Honiton Lace makers and for lace makers new to Honiton Lace but with experience in other bobbin laces. 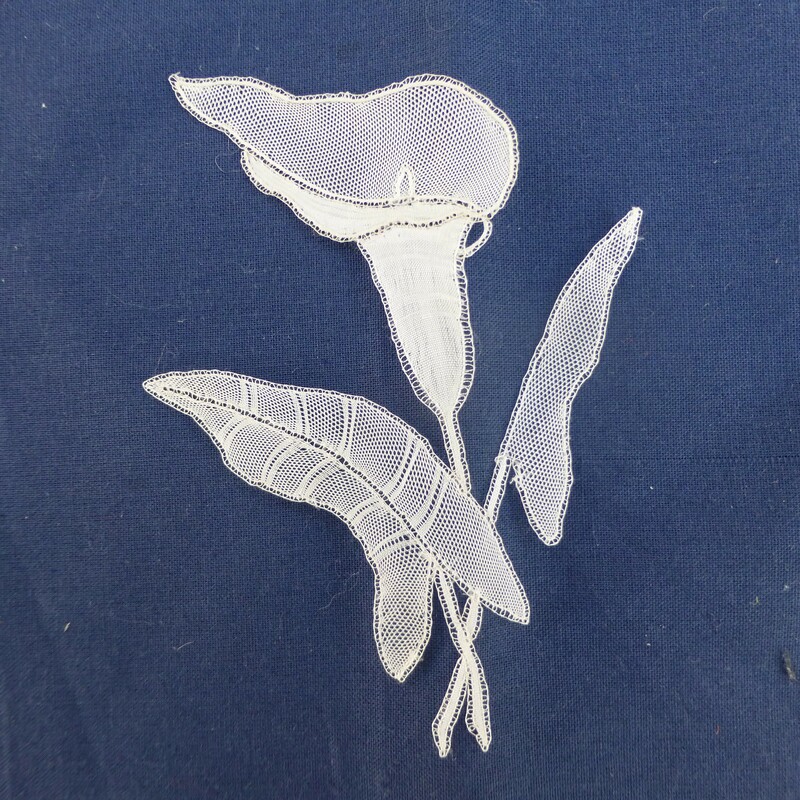 This course aims to enable learners to improve skills in Honiton Lace making. For those with experience, working on new or existing projects, there is the opportunity to expand knowledge already attained with encouragement to experiment with technique, design and interpretation. For those new to Honiton Lace instruction will be given in the practice and theory of the lace with the commencement of the first project covering the basic techniques required. The course is specifically aimed at individual tuition to suit the ability of each student.. Bobbin lace makers new to Honiton Lace will work a pattern that will enable them to recognize and interpret a variety of basic techniques, with practical exercise and demonstration, aided by step by step instruction sheets and diagrams as each stage is reached. Those with experience in Honiton Lace will receive advice on the working of a new or an ongoing project with consideration to expand knowledge already attained and reinforcing areas that require more practice and expertise. Encouragement will be given to experiment with design for interpretation in Honiton Lace, to recognize and plan the working order of the piece, taking into account the shape and overall design. After the course, according to the area, there may be the opportunity to attend weekly classes where available, otherwise it would be beneficial to attend further weekend courses to expand expertise further. Straw Honiton pillow and bobbins, pins 30x0.50mm, thread Egyptian cotton 120/2, 140/2, 160/2, 170/2 according to experience, cotton thread DMC 80, needlepin, small sharp scissors, 4 cover cloths, pricking card, pin cushion, colour headed pins, note book or A4 folder. Thread, 120/2 and 170/2 (£7.20), DMC 80 (£2.00), pins (£3.75), needlepin (£2.00), lazysusan (£2.00) basic bobbins (10 for £1.00). The tutor can bring other equipment, such as secondhand pillows and sets of bobbins if requested in advance of the course. I started lacemaking in 1978, becoming a member of the Devon Lace Teachers in 1985 working as an adult education tutor for Devon County Council for twenty years and for the WEA for seven years, teaching weekly classes in Devon and courses both nationally and internationally and am chairman of the Devon Lace Teachers. Since 2002 I have been a volunteer at the Royal Albert Memorial Museum in Exeter working on the extensive lace collection. More recently I have undertaken similar work with Sidmouth Museum and the Fashion and Costume Museum in Bath. With a colleague we run a Saturday club for both primary school and older children to learn the techniques of bobbin lace.